People who work tradeshows have a certain unspoken camaraderie. There is a worn look about the sparkling eyes that says, I too will talk to 500 people today. The moments leading up to a tradeshow tend to be squirreled away and regarded as precious time of quiet before the floodgates of the convention doors are opened wide. It is with this in mind that I started my morning several years ago at Blue Bottle Coffee, waiting in an absurdly long line for a short cup of caffeine and a bowl of oats to tuck down before making the short trek to the Moscone Center. Sometimes, I can’t help my curiosity or my need to say hello to strangers wearing badges that look just like the one stashed in my cross-body bag. At the time, I was working at a food company in another vein than tea, but found that morning that kismet or providence had seated tea kitty-corner to me. 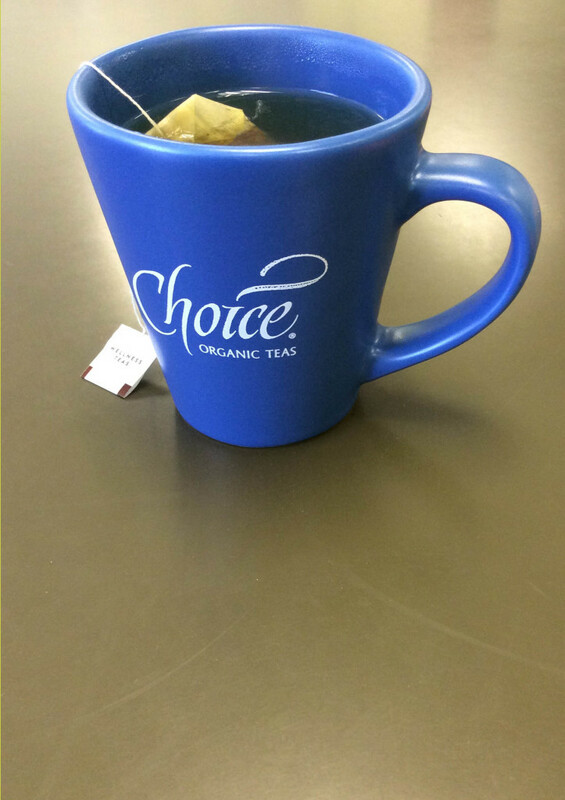 And that is how I first met Eric Ring, the tea buyer for CHOICE Organic Teas. Later during that show, I would meet Anne-Marie Phillips and even later, Valerie. But on this particular morning, licking the foam from the inside rim of my paper cup, Eric reminded me that working in tea is like being part of a coterie that you never really leave. When I started working on the book, I knew deep down I wanted to provide a tea bag alternative to loose leaf tea for recipes where it made sense to steep by the bag instead of by the measuring cup. I set up guardrails for what teas might make it into the resource section tucked in the back of the book. 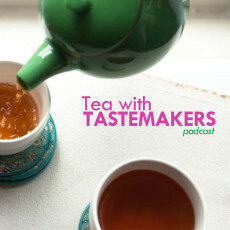 Questions like: can readers easily find these teas? Does the quality of the tea make for a tasty addition to the dish? 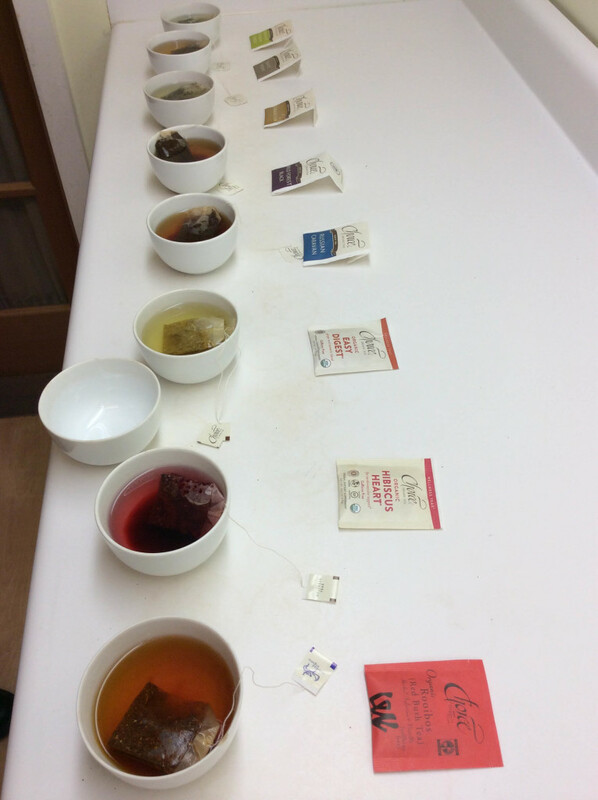 I tasted a lot of teas. You might roll your eyes or nod your head in agreement if you threw open the tea pantry in my front room (or the zippered bag in the back room or the cloth bag filled to the brim with tins, boxes, and silver bags). I could easily find the flavors of teas used in the book packaged up in CHOICE organic tea bags down at Whole Foods, Sprouts, or Berkeley Bowl. They didn’t blend in any inclusions to the teas and they were offered at a reasonable price for organic, fairtrade, non-GMO tea. Their tea bags became a workhorse ingredient so when they approached me last summer to write the descriptions on their Gourmet Tea Boxes, I happily accepted the project. Last fall when I visited Seattle for the book tour, they welcomed me to their headquarters for a cupping and conversation. 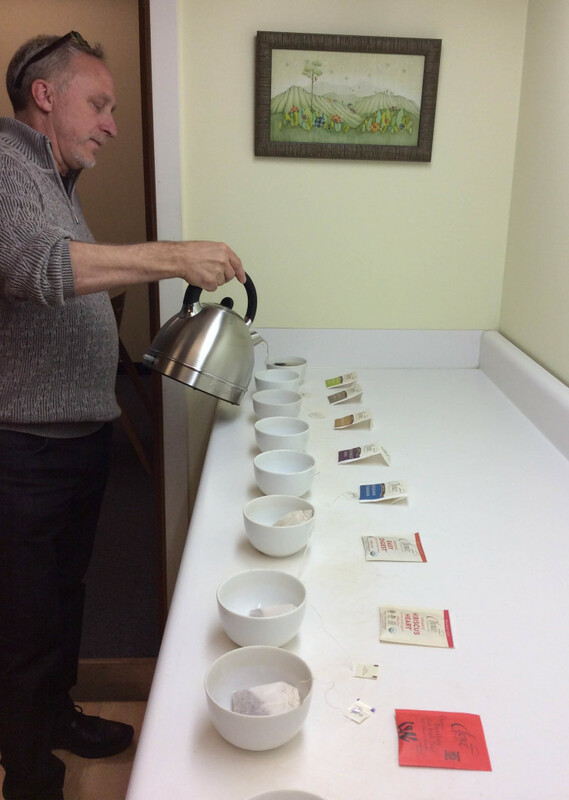 Eric led us in the cupping and we got into a spirited discussion of how mood and taste affect one another. Anne-Marie led me on a tour of their facility (all of their tea bags are filled and packaged in tea boxes on-site!) and I left vaguely caffeinated from all the sips and slurps excited to share this interview with you. When I embarked on the tea podcast journey, it stemmed from the simple idea of sharing the stories of the people behind the packaged tea in grocery stores and boutiques who are so deeply steeped in bringing you and I the teas we treasure. While finishing up the editing and packaging it into a snackable soundbite has been several months in the making, if we learn anything from tea, it’s that patience in waiting is rewarded by a full cup. 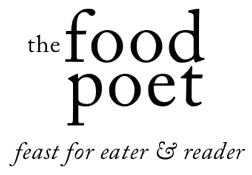 Stay tuned for future episodes–I’ve got a few queued up, waiting just off-stage that promise to keep your cup full.